As the prophecy of Hosea winds down he urges Israel (and us) to turn from our shortcomings and return to God. When we do this, blessing will follow: blessings for us and for others through us. Once again, we have this concept in the Bible of being blessed so that we can be a blessing to others. After this conclusion to his message, Hosea tacks on a final thought. He says that God’s ways are right. 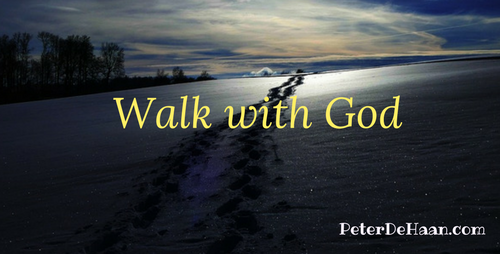 Those who are righteous walk with God; they follow him. Those who rebel against God will stumble (Hosea 14:9). If we find ourselves stumbling over what God tells us to do, this could imply we’re rebellious. This doesn’t mean we can’t have questions. In fact, I think God enjoys our questions—as long as we’re sincere and ask with the right motives. But if we disregard what he says, we shouldn’t be surprised when we trip over it. Some people read the Bible and delight in it. They’re happy to follow God and walk in his ways. Though God doesn’t force himself on anyone, a person can’t rebel against him and ignore his words and then expect to receive his blessings. People who don’t know God stumble over his ways and fall. Ironically, these rebellious people then often blame God for their troubles. But he didn’t cause them. They did. Walk with God, and do not stumble.